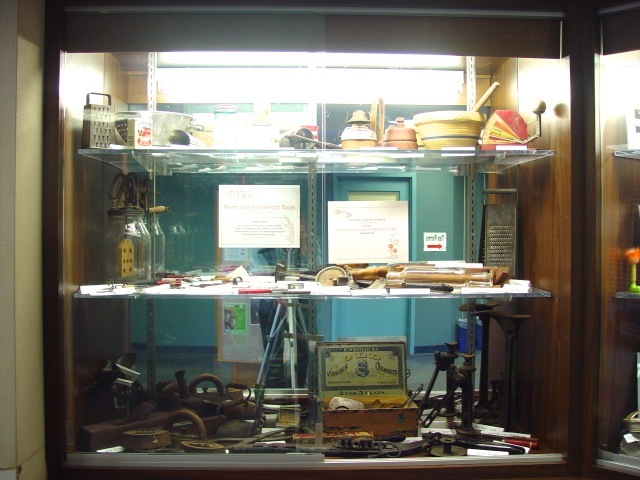 The SCHS has a small archives of artifacts which the Society displays for short times in various places. One of those places that has become a regular over the past few years is the St. Louis County library system. 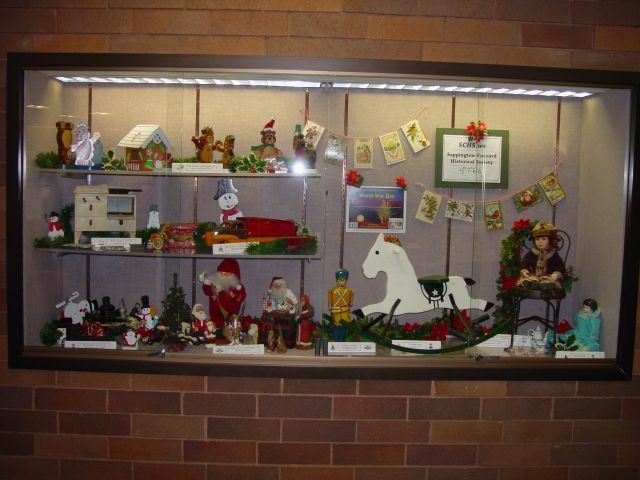 The Tesson Ferry and Oak Bend libraries have allowed SCHS to set up displays in their display cases. 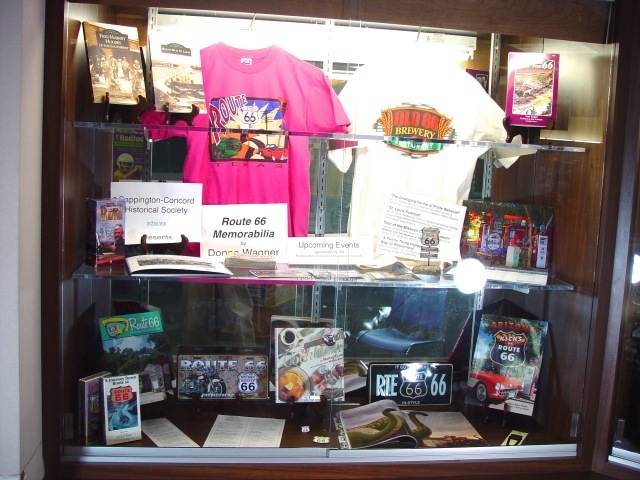 Not all of the displays have been from the archives. 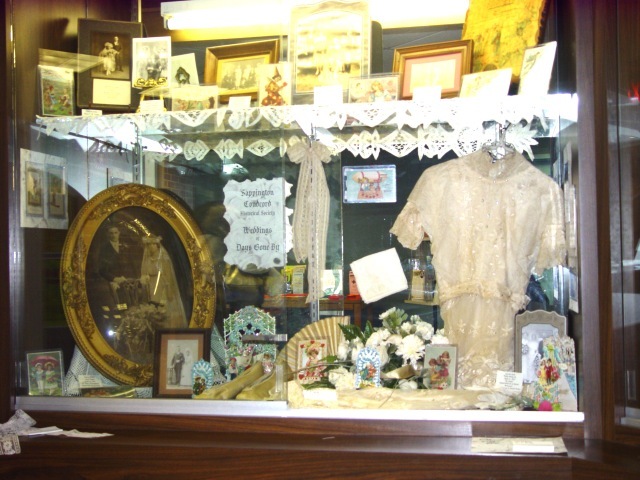 Some SCHS members have also contributed portions of their personal collections of various kinds to make very fine displays. 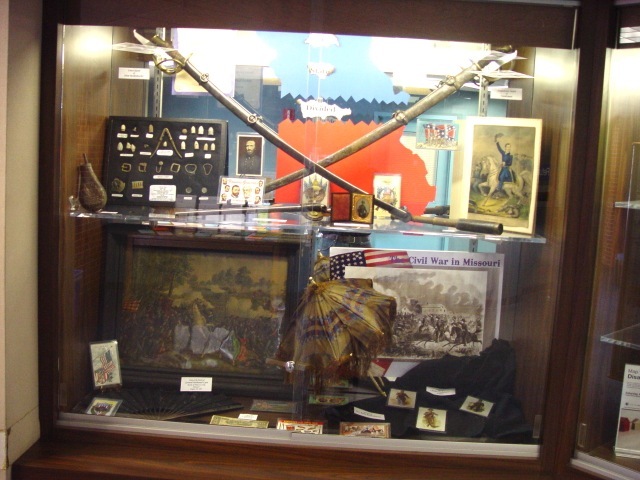 This program extends to members the chance to share their personal collections of history-related materials with other SCHS members and the public. 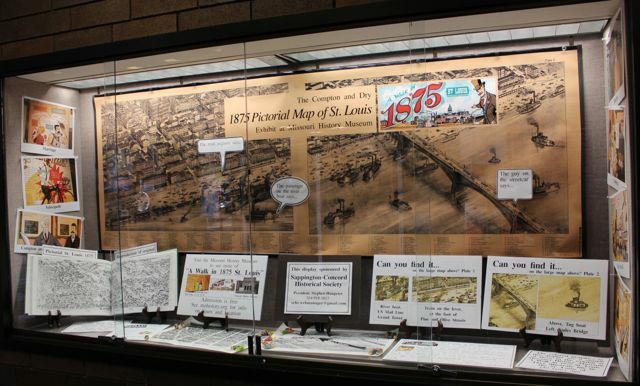 • A sampler of maps and graphic from the Missouri HIstory Museum exhibit, “A Walk in 1875 St Louis.” Oak Bend LIbrary, September 2015. 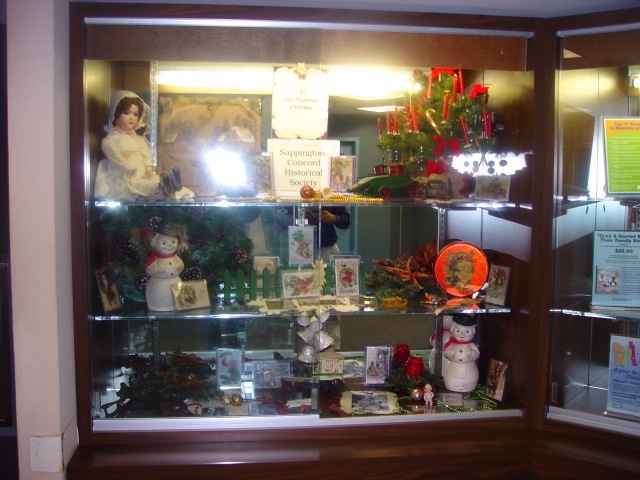 • “Valentines Through the Years” SCHS display at Tesson Ferry Library in February 2015 organized by Rose Marie Karius. 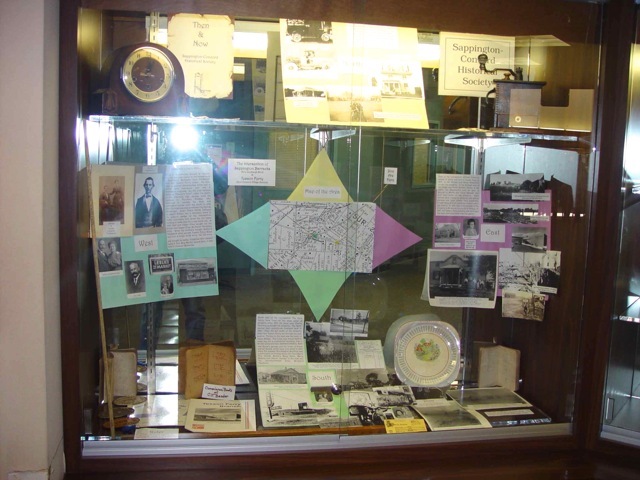 A sampler of maps and graphic from the Missouri HIstory Museum exhibit, “A Walk in 1875 St Louis.” Oak Bend LIbrary, September 2015. 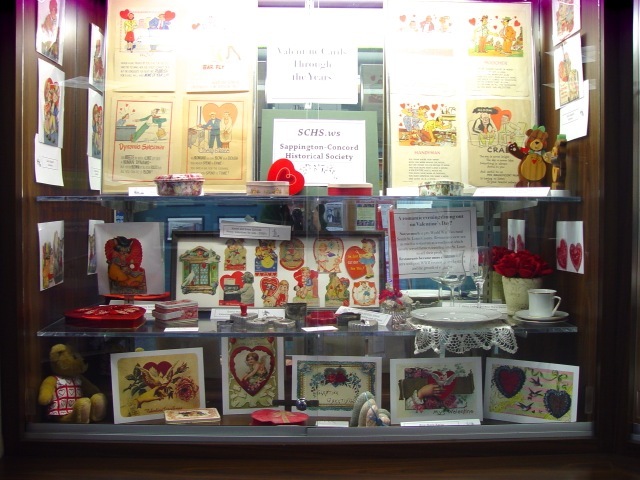 “Valentines Through the Years” SCHS display at Tesson Ferry Library in February, 2015. 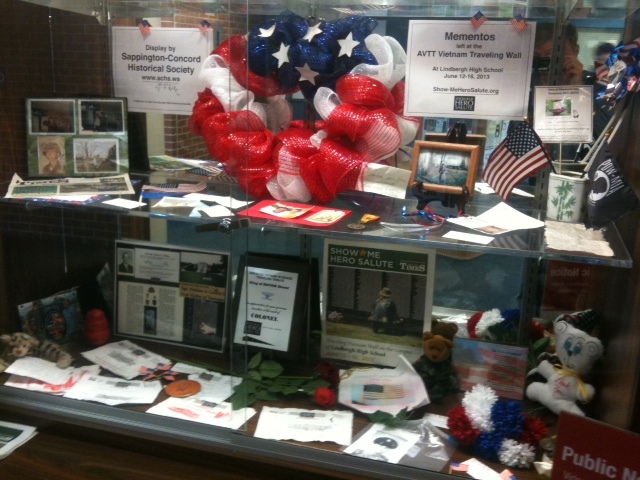 The February to March 2014 display at Tesson Ferry library was of items left at the AVTT Vietnam Traveling Wall in June of 201`3 at Lindbergh High School. See Show-Me Hero Salute for more info on that event. 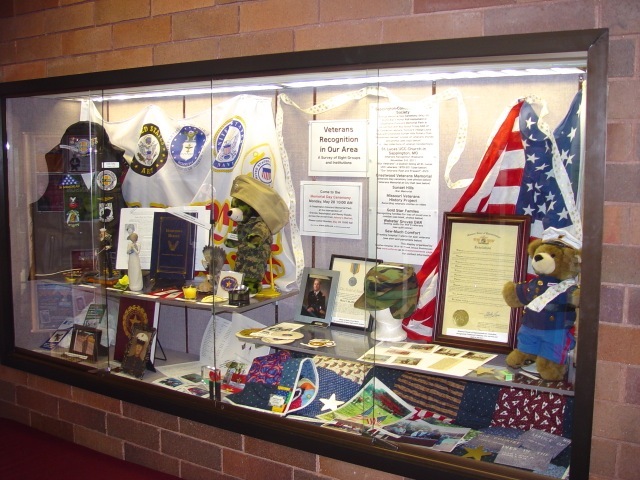 The mementos were on loan to SCHS from the Sunset Hills Historical Society which brought the AVTT Vietnam Traveling Wall to St. Louis in June of 2013 and was displayed at Lindbergh High School. 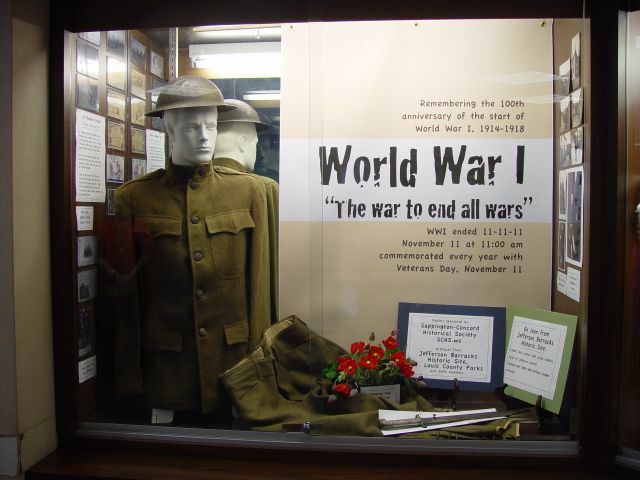 Visit Tesson Ferry library in November to see the WWI and Veterans Day display for the whole month of November, 2014! 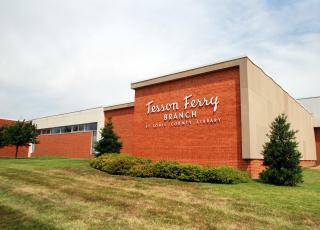 Tesson Ferry library, an institution central to the Sappington-Concord area.